A beekeeper can’t be a beekeeper without bees. 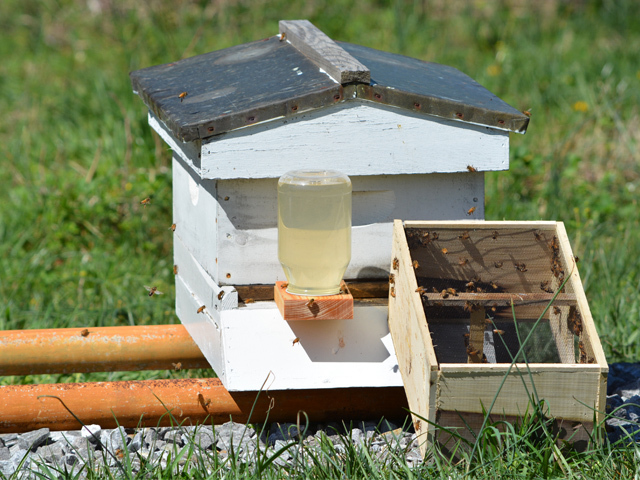 Packages and Nucleus Hives (NUCs) are the simplest way of finding new honey bees. If you have not pre-ordered your Package or NUC yet, we still have some available for pick-up at our retail stores. Click here to view our pick-up dates and pricing. If you have already found your source for honey bees, you are well on your way to becoming a beekeeper! 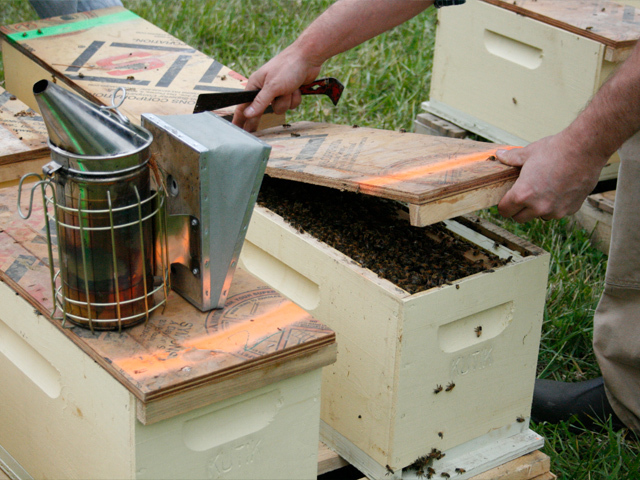 Before you get started, though, here are a few tips on how to best prepare for your new bees. Pick up your bees in an appropriate vehicle. Honey bees in transit are not the happiest. The longer they are confined, whether it be a package or a NUC, the more stressed they become. Would you not be as well? The stress of transporting a colony can cause them to overheat and cook themselves. This is one of the reasons why we recommend you pick up your package of bees rather than having them shipped. They will need constant airflow to keep them from overheating. An open bed vehicle like a truck is a great vehicle to transport bees. If you have to load the bees into a car to travel, make sure you have the windows open and air conditioning on the entire trip. You may get a little chilly but that may be better than cooking your new investment. DO NOT pick up your hive supplies the same day you get your bees. Every hive component (hive tops, boxes, and bottom boards) needs either a coat of laytex paint or a sealant to help protect and preserve the wood. The paint or sealant must be dry and the odor dispelled before you install your bees. Picking up your supplies the same day as bees will require an additional 3-5 days before your hive will be ready for the bees. Order your supplies now and get them ready. Make sure you provide plenty of feed for your new colony. Imagine that you have just moved to a new city. Are you going to know where the closest grocery store is located? How long will it take you to build that bookshelf in order to organize your house? While your new colony is learning the environment around them, you will want to provide plenty of sugar syrup for them to feed on. Sugar Syrup is easy to mix and can be fed to the bees in many different devices. Adding feed supplements will provide the additional nutrition to the sugar syrup the bees need. A good rule of thumb is keep feeding your hive sugar syrup until they stop taking it or until the first honey super is added. It’s never too early to start fighting Varroa Mites. They are considered one of the key factors in honey bee decline. A small, bloodsucking tick opens wounds on the bees making them more susceptible to infections and diseases that can last multiple generations. Varroa’s reproductive cycle is based upon that of the bees and the female mites will produce young within capped brood cell. One of the best times to treat for Varroa is before the bees are able to cap their brood. Packaged bees will not have capped brood and can be easily treated with a mixture of sugar syrup and oxalic acid, a natural varroa treatment. In a package 100% of varroa mites are exposed so there is nowhere for them to hide.